Glen Mazzara (born July 6, 1967) is an American television producer and writer. He is most well known for his work on The Shield, The Walking Dead and Damien. An Italian-American, Mazzara was born in Manhattan and grew up in Queens, New York. He graduated from St. Francis Preparatory School in 1985. He attended NYU and earned a masters in English. He worked as a hospital administrator in New York before moving to Los Angeles to pursue a career as a writer in 1998. He was a story editor and writer for the fourth and fifth seasons of Nash Bridges. In 2002, he joined the drama series The Shield as an executive story editor and writer for its first season; was promoted to producer for the second season while continuing to write, to supervising producer for the third season, to co-executive producer for the fourth season and to executive producer for the fifth season; and left midway through the sixth season in 2006. Later in 2006 he was an executive producer on the short-lived series Standoff, and then a co-executive producer on the first season of NBC drama Life. 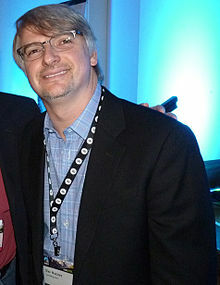 Mazzara left Life to create and executive produce a new series Crash, based on the Oscar-winning film of the same name, on which he served as head writer and showrunner. He left after one season, but was credited as a consulting producer for the second season premiere. In 2009, he joined the medical drama series Hawthorne for two seasons as executive producer and writer. In 2010, he wrote his first of several episodes of the AMC series The Walking Dead, episode 1.5: "Wildfire. On July 27, 2011, it was reported that Mazzara had taken over as showrunner of The Walking Dead after Frank Darabont dropped out of the position. Mazzara left this role following season 3. Glen Mazzara is the Creator, Executive Producer, and Showrunner of A&E’s series, Damien, based on the classic horror film, The Omen. On April 15, 2019, Mazzara joined several other writers in firing their agents as part of the WGA's stand against the ATA and the unfair practice of packaging. 2006 Standoff Episode: "Life Support"
2007 Life Episode: "Let Her Go"
2008 Crash Episode: "Episode One"
^ John Dempsey (2008-09-26). "Starz brakes for Crash'". Variety. Retrieved 2008-10-12. ^ "Filmography by TV series for Glen Mazzara". IMDb. Retrieved 2012-12-22. ^ James Hibberd (2010-07-27). "Glen Mazzara named new showrunner for 'The Walking Dead'". Entertainment Weekly. Retrieved 2010-07-29. ^ comingsoon.net (2012-12-21). "The Walking Dead Officially Renewed for Fourth Season". Comingsoon.net. Retrieved 2012-12-21. ^ "Damon Lindelof, Hart Hanson Among Top Showrunners Posting Termination Letters In Wake Of Failed WGA-ATA Negotiations". Deadline. This page was last edited on 15 April 2019, at 20:41 (UTC).